Continuing talking about Yadah. My previous post was talking about Yadah new addition of lips product which is Yadah Sweet Milk Tint series (read here). 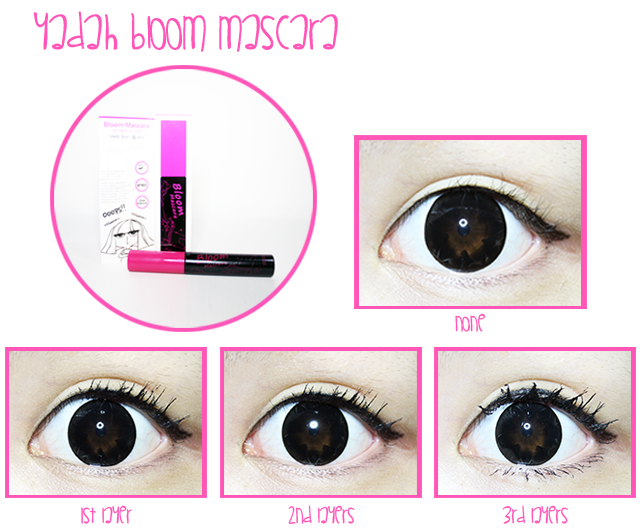 Beside that, Yadah also has add in two new addition of mascara product to Yadah's Family category namely Yadah Bloom Mascara and Yadah Highlash Mascara. These two products are also available on sell starting December 2013 at selected Sasa stores, Zalora.com.my, Hermo.my and MIVVA.com. 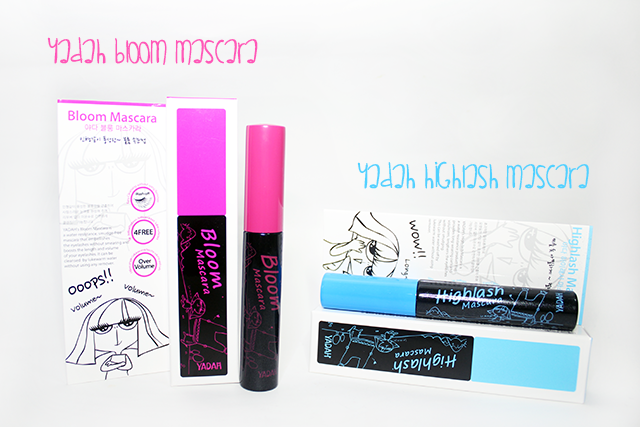 Yadah Bloom & Highlash Mascara has bright and attractive package that easy to get attraction. The size of these mascaras are just like other normal mascara on sold. The packaging of the box is really cute, young and colorful with simple illustration and introduction that easy to understand. 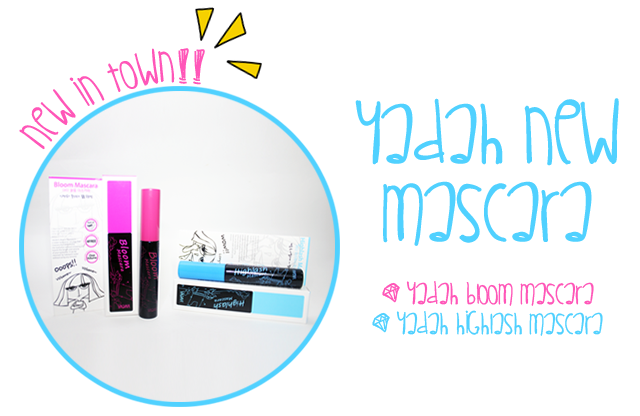 Yadah Bloom Mascara (pink) vs Yadah Highlash Mascara (blue ? 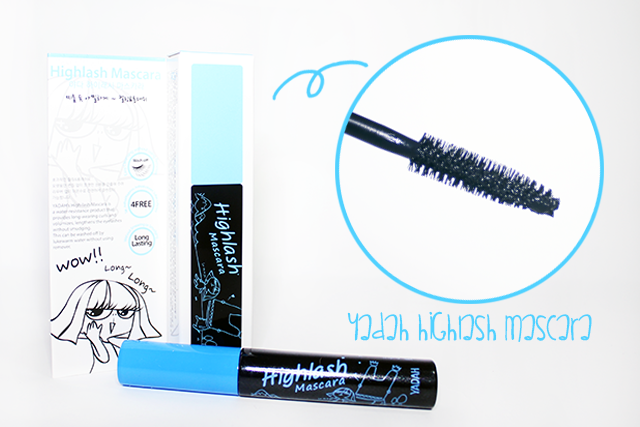 Yadah Hishlash Mascara is for Lift, Curl, Lengthen. Yadah Bloom Mascara is a water resistance, smudge-free mascara that embellishes the eyelashes without smearing and boosts the length and volume of the eyelashes. It can be cleaned by lukewarm water without using any remover. • Sulfate, surfactant, talc, artificial colors, artificial fragrance free. Yadah Hishlash Mascara is a water-resistance product that provides long-wearing curls and volumizes, lengthens the eyelashes without smudging. This can be washed off by lukewarm water without using remover.